Black leadership must evolve. How much longer will the residents of America’s vanishing Black communities tolerate ineffective, subservient, noncommitted Black leadership? How much longer can they continue to not hold their current leaders accountable for the horrific conditions that they must endure day in and day out? The comprehensive answer includes other complex variables such as psychological conditioning (Willie Lynch) and Black Americans having internalized America’s values with little to no access to its benefits. Benefits that were made available through the enslavement of their ancestors. The vanishing Black Community is Black America. Members of Black America are citizens of the United States. They are citizens of the states, counties, cities and the vanishing municipalities in which they reside. The Black Community is a concept that goes far beyond the color of one’s skin. It is the experience of being Black in America. The Black Community is a society whose culture is waiting to be redefined. This definition, concept or ideology of a Black community is not designed to offend, alienate or ignore other people in the America, but to evolve the strength, dignity and power of Black human beings and their leadership as citizens of America. For far too long now Black Americans have been forced to function as if they are not citizens. Current, do nothing, Black leaders rarely criticize main stream media’s narrative or coverage of the Black community. They never go against the establishment. They rarely criticize policies, laws or police killings of unarmed Black individuals that destroy Black life. Nor do they rarely denounce Black opportunists, entertainers, artist or others in leadership roles who sprint from press conference to press conference masquerading as community and/or civil rights advocates. Of course, they are all embraced by the mainstream American media because they are non-threating, self-serving individuals who practice their illicit activities at the Black community’s expense. Current Black leadership defined the interests of the Black community, named themselves leaders and was assumed to be so by the dominate American society. Since the sixties, material benefits accrue more to the middle class who have largely removed themselves from the struggle for human rights and like their white counterparts, tend to consider themselves superior to poorer Blacks. It is hard to imagine a more dangerous political climate to be in. Policies currently being enacted erode civil rights gains, further embolden racism and white privilege. Also Keep in mind, these policies represent the strong feelings of those Americans who voted for the current administration. Slavery, Reconstruction, Jim Crow and Civil rights- each period- as with the one we are in- reflects the nation’s current racist political and economic priorities. Unfortunately, Black leadership too reinforces racial injustice, chiefly by failing to vigorously challenge systemic barriers confronting Black Americans. The crippling fallout is that Black identity, unity and quality of life remain a tangled mirage that serves to perpetuate a status quo that is not in the best interests of America’s vanishing Black communities and its residents. Political and economic progress requires leadership based on moral and ethical values as opposed to the current pervasive individualism and materialism that reinforces conditions inimical to Blacks’ own best interests. Therefore, it is more important than ever that the Black community hold its leaders accountable and cultivates new Black leadership. It will not be easy for the Black America to empower itself when all the odds appear to be against the community. Many members of the Black community find themselves powerless and being afraid to participate openly in the political and economic processes that could empower and uplift the Black Community. This fear has led many in Black community to believe that they must exhibit a racelessness persona to achieve vertical mobility in America. Not to alienate the establishment for fear of retribution or retaliation. Black leadership is running for public office at the federal, state and local levels. 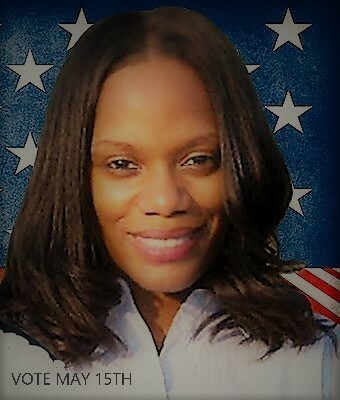 It is supporting and working for the election of candidates who are sensitive and responsive to the horrific conditions and issues affecting the Black Community. Black leadership is demanding that all public officials (elected or appointed. Black or White) represent the interests of those suffering in the Black Community. Black leadership is holding all public officials accountable and responsive for productivity within the Black Community. Black leadership is other holding Black leaders and Black public officials accountable for providing the critical leadership needed to enhance economic stability and quality of life within and for the Black Community. It is providing leadership for all Americans. 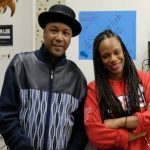 Black leadership is defining the needs, goals, and aspirations of the Black Community, and communicating the same to individuals who can make the differences. 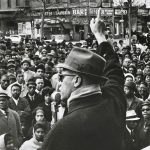 Black Political Action is discussing at the kitchen table issues and conditions, and establishing, through resolutions, the positions of the Black Community, collectively, on these issues and conditions affecting it. It is being a risk taker and an agent for positive change in and for the Black Community. There are no quick or easy answers for improving the effectiveness of Black leaders, but a critical “time out” is needed to reassess, devise new strategies and demand new accountability from Black leaders. It should go without saying, that the nature and complexity of the issues facing the Black community -most recently, Trump’s election-add to the continuing barriers to Blacks’ progress and will require renewed courage and commitment from new Black leadership. On May 15, 2018 all those suffering in district 34 will have the opportunity to choose another path after almost 20 years of the status quo. . The districts Black population will have a chance to choose leadership that is accountable, responsive and proactive to the Black Community’s needs. Leadership that recognizes that Black America must act now to chart a better course for the future. Working together, we can make a difference in impacting the political process. 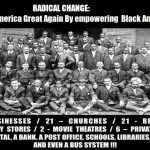 Radical Change: Empowering Black America to reinvent itself, no strings attached. This entry was tagged Black empowerment, black leadership, Braddock PA, face book, grass roots movment, Isaac Bunn, Malcolm X, MLK, PA State Representative, Paul costa, Pittsburgh PA, poor peoples campaign, summer l. lee, summer lee, The Braddock Inclusion Project. Bookmark the permalink. Dana bishop-root,Director Braddock Carnegie Library. “Thank you for your leadership to inspire our youth. The Braddock Inclusion Project is a great example of how we can uplift our own lives and community for the better”. Overcoming Adversity with Diversity organization members, Lynchburg, VA. The Braddock Inclusion Project is a non-profit organization under section 501(c)(3) of the United States Internal Revenue Code. All donations to The Braddock Inclusion Project are deductible. The Braddock Inclusion Projects tax identification number is: 47-2995974.